I am a complete dilettante: I know precious little about a lot of things. Call it a grasshopper mind – buzzing from one topic to another. But at least I fall into the category of ‘knowing what I don’t know’ (rather than ‘not knowing what I don’t know’, or even ‘not knowing what I do know’!) So I am looking forward to Wits Professor Roger Gibson’s talk at the Science and Cocktails evening on Tuesday 30th July at the Orbit Jazz Club in Braamfontein. I’ve written about this initiative before which happens on the last Tuesday of every month. 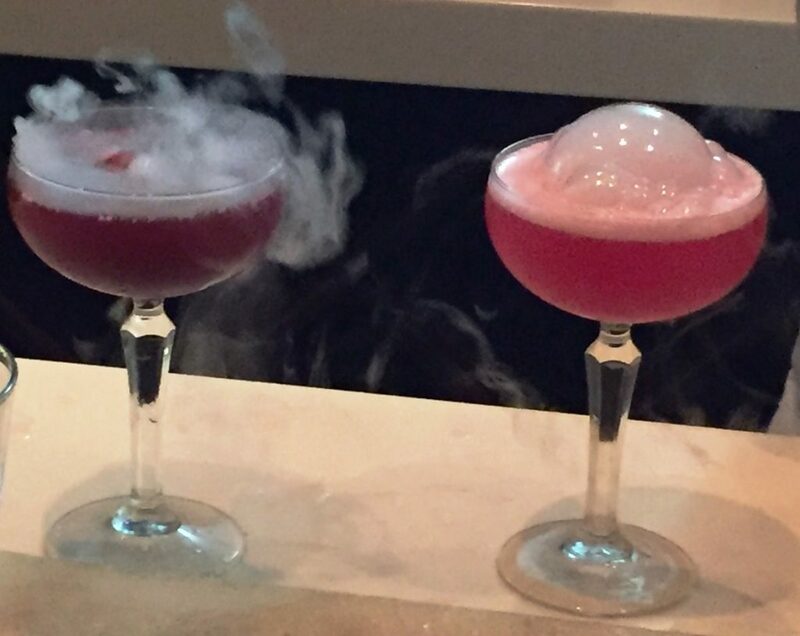 Joburg is the only city outside Copenhagen where the Science and Cocktails event happens . 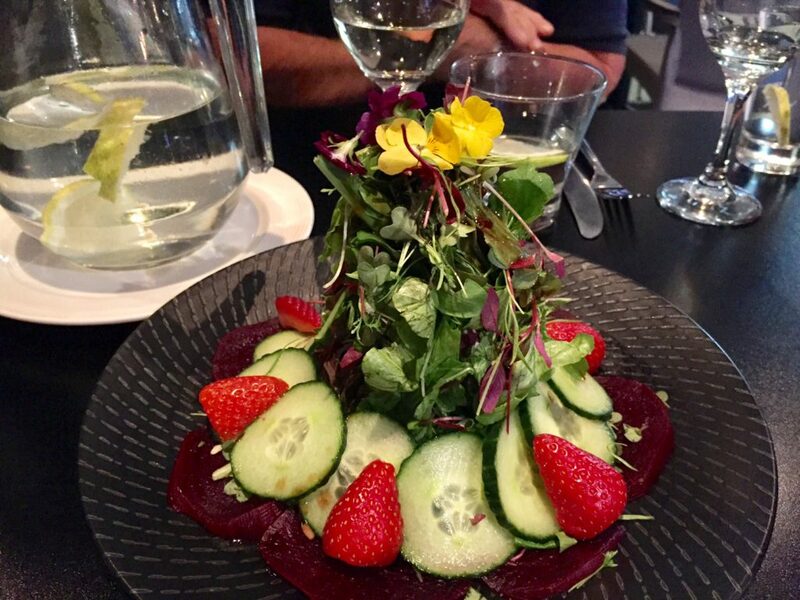 You can have dinner at the Orbit Restaurant first or just go the talk for a mere R20 entrance fee. Stay at our well located Guest House and experience Johannesburg. View our Johannesburg Guest House for Rates and Availability! Roger Gibson (Head of GeoSciences at Wits) is a fundi on impact structures. This means he knows ALL about the Vredefort dome. About 100 km from Johannesburg this impact site survives as series of craters and ridges with about 3 rims of hills around the far outer edges. It seems that up until relatively recently there was contention as to whether it resulted from an internal explosion (ie a volcano) or a meteorite crashing into the Earth. 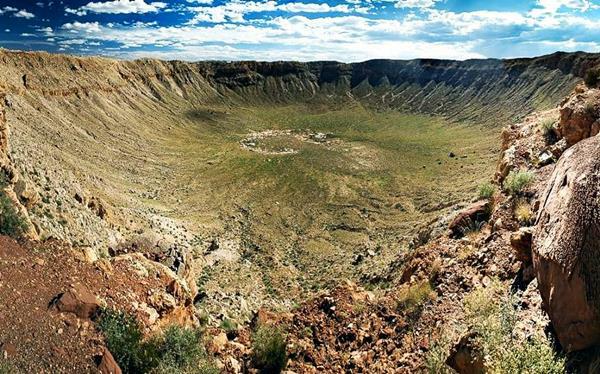 Apparently it was only in 1996 that traces of extra-terrestrial projectiles were discovered, so confirming finally that this extraordinary crater and surrounding landscape resulted from a meteorite impact. Said to be 10 km in diameter and travelling at 200,000 km and hour, the meteorite embedded 17 km or more in the ground. Google Earth photo from space of the Vredefort area. 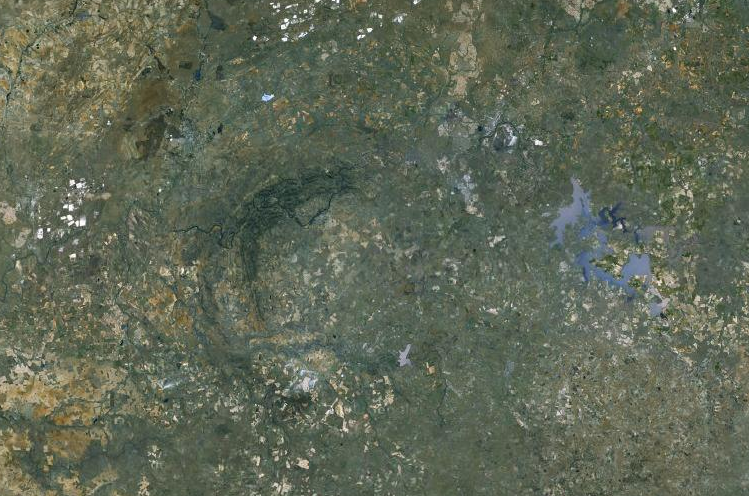 The Vredefort Dome is only the central part of the impact crater. It is called a dome because the rock layers were bent by the impact into the shape of an upside-down bowl 90 km across. The original crater, now eroded away, thought to have been 250 – 300 kilometres in diameter – is estimated to be the largest in the world. Some 70 cubic kilometres of rock would have been vaporised in the impact. Vredefort is the site of the largest energy release in the world’s history. While the Vredefort meteorite predates multi-cellular life on earth, (it is the oldest in the world), more ‘recent’ meteorite impacts in the last 100 million years have been linked to extinction events: Chicxulub in the Yucatán in Mexico (the dinosaur extinction 65 million years ago) and Popigai in Siberia (35 million years ago). It is not surprising that the Vredefort Dome has been declared one of South Africa’s 9 World Heritage sites (as of 2017) Do you know the other eight? Roger Gibson, who is the author of 3 books and more than 30 papers on the Vredefort Dome, will talk about the slow uncovering of the extraterrestrial origin of the Dome, the growing awareness among geoscientists of meteorite impacts, and how these catastrophic geological and global environmental events reshape our planet and its life. And after the talk there will be the usual fabulous jazz session. On Tuesday it will feature the Angus Hardcastle Collective which includes Angus Hardcastle on bass, Josh Mokoena on the piano, Godfrey Mntambo on alto sax, Dylan Fine on guitar and Nick Bjorkman on drums. It’s always a stunning evening made even more mellow with a smoking cocktail.